This Low-Profile TV Stand Allows Users to Create Digital Poster Displays Ideal for Movie Theaters! This Bracket Features a Slim Design that Stays Concealed Under Your 60"+ Plasma Television! Get the Best Flat Screen TV Stand from the Online Store Now! VESA compatible: 200mm x 200mm, 400mm x 200mm, 400mm x 300mm, 400mm x 400mm, 600mm x 400mm, 800mm x 200mm, 800mm x 400mm, & 1200mm x 400mm. 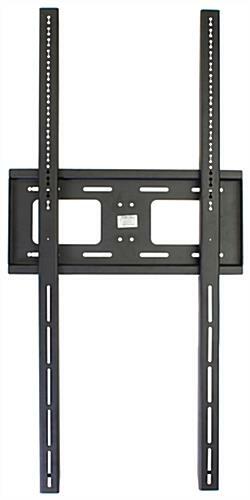 The TV stand sized for 70"-95" flat screen TVs and larger is VESA compatible for 200mm x 200mm through 1200mm x 400mm. 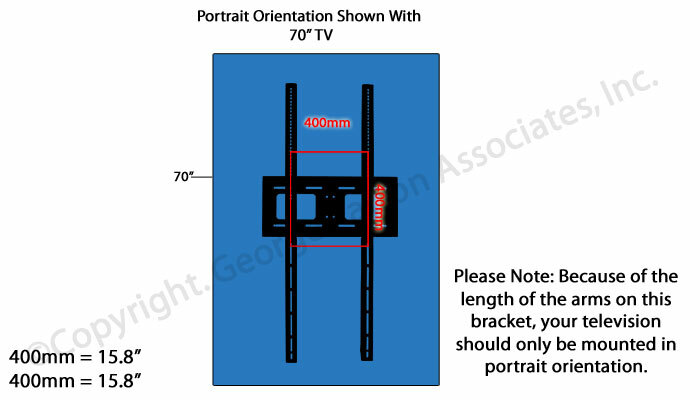 Each large mounting arm is 49" long and can easily hold larger televisions in portrait layout. This flat panel LCD bracket, TV stand that is VESA compatible incorporates the hardware necessary for attaching most televisions to the display. However, some plasma monitor screens may need specific screws that are available at most any hardware store! This TV stand for vertical mounting displays 70"-95" plasma monitors that weigh less than 176 lbs. 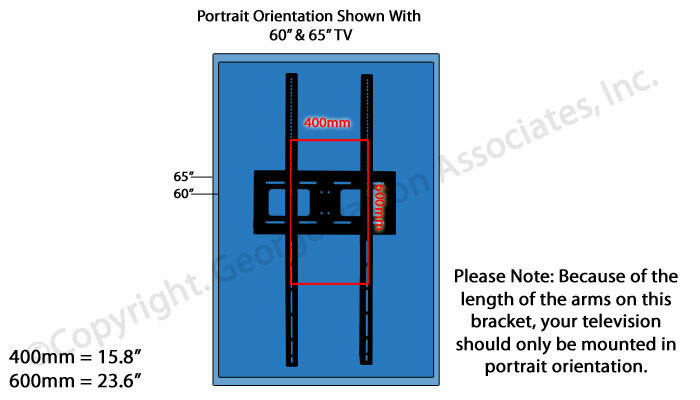 The flat panel television bracket is engineered to present a monitor in portrait (vertical) layout only, not landscape (horizontal). The heavy duty TV stand, like an LCD bracket, is manufactured from steel to supply a screen display that will last through many years of use. The steel has a powder coated black finish that can blend seamlessly with any interior décor. This TV stand that is fabricated from steel is ideal for use in homes, businesses, hotels, offices and even restaurants or bars. The black powder coated mounting brackets bring style to any location! 70.9" x 49.0" x 20.0"